Imagea via Backgrid / Splash News. 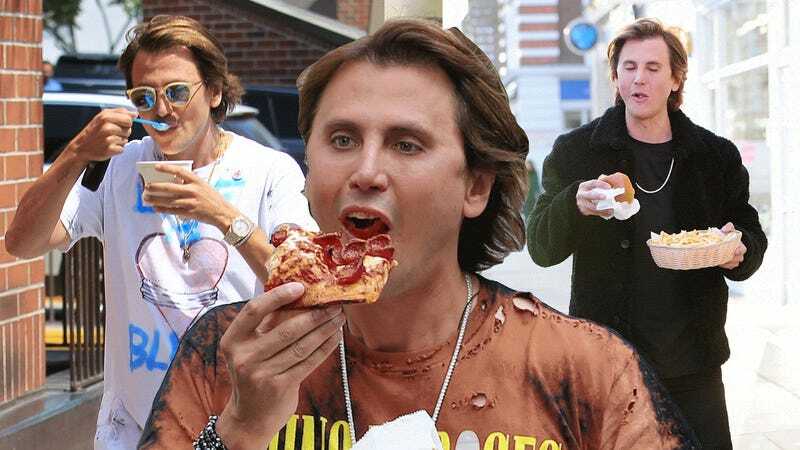 Best friend of Kim Kardashian and sworn enemy of restaurateurs everywhere Jonathan Cheban has revealed plans to change his legal name to Foodgod, per a report by Page Six. While he’s gone by the nickname informally for some time (he claims it was given to him by Kanye West), Cheban apparently felt “Jonathan” didn’t properly convey his love for holding, photographing, chewing, eating, digesting, and talking about food. “Foodgod,” on the other hand, immediately brings to mind someone who’s about to shovel a large bite of something chunky and tan into his mouth—decorum be damned—post a poorly lit and overly yellow photo of the aftermath on his social media channels, and scream, “I AM THE FOODGOD,” as a tablespoon of unswallowed bolus dribbles down his chin. The film is still scheduled to be released at the end of December. This probably isn’t the Reputation tracklist but I hope it is.